Initial reports suggest that Abbasi will be sent to Adiala jail, the same prison where former prime minister Nawaz Sharif and his daughter Maryam Nawaz are serving their sentences in the Avenfield reference. 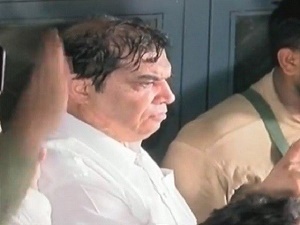 The ANF in the investigations had declared that Hanif Abbasi obtained 500kg ephedrine for manufacturing medicines in 2010 but instead sold the chemical to narcotics smugglers. Abbasi’s main political rival Sheikh Rashid lauded the verdict, saying ‘you reap what you sow’. PML-N leader Ahsan Iqbal strongly criticised the verdict calling it a stain on transparency of upcoming elections. “Issuing a verdict with just three days left for elections raises several questions,” he added. Imran Khan, while addressing a public gathering, congratulated people of Lahore on the verdict. “Rumi once said that a nation dies morally and then financially when it fails to correct the right from wrong,” he was quoted by Express News as saying.